One of South Florida’s most prestigious, star-studded charity events will return for its 20th year as Lea and Roy Black and The Mariano Foundation present “The Blacks’ Annual Gala” on Saturday, October 25, from 7:00 p.m. to midnight at Fontainebleau Miami Beach. Headlined by legendary singer, the Queen of Soul, Aretha Franklin, the event will benefit The Consequences Charity, Teach for America, Breakthrough Miami and other worthy causes that support at-risk youth – a cause “The Blacks’ Annual Gala” has raised several million dollars for over the last two decades. The Andy Warhol-themed event will kick off with celebrity arrivals, including Gloria and Emilio Estefan, Courtney Love and special guest host Ross Mathews of E!, on the black and white checkered “red” carpet featuring a custom step & repeat complete with pop art performers clad in body painted costumes;to purchase tickets or for more information, visit www.theblacksannualgala.com. On Saturday, October 25 at 7:00 p.m., Miami Children’s Health Foundation will host its annual Diamond Ball and will honor internationally renowned pop artist Romero Britto. Romero Britto will be inducted into the Ambassador David M. Walters International Pediatric Hall of Fame and will reveal a new logo for Together for the Children, the campaign for Miami Children’s Hospital. This premier signature event will take place at JW Marriott Marquis in Downtown Miami and will pay tribute to Miami Children’s Hospital’s grateful patients, world-class physicians and generous philanthropists. The Diamond ball also helps raise funds to position Miami Children’s as a world leader and global destination for pediatric health and wellness as well as a provider of hope for children everywhere. On October 25, from 7:00 to 9:00 p.m., the National YoungArts Foundation(YoungArts) will launch Outside the Box, a new series that will feature free performances by YoungArts alumni, including GRAMMY Award-nominated musician Dave Eggar (1987 Winner in Music and U.S. Presidential Scholar in the Arts). Each event in this multi-sensory extravaganza will take place on the YoungArts Plaza, located outside of the Jewel Box on the organization’s Miami campus, and feature different YoungArts alumni. Outside the Box attendees will enjoy tasty treats from favorite neighborhood food and beverage locales, including JugoFresh, Lulu’s and Illegal Bakery, and learn some beneficial yoga moves by Trio Yoga. Event is free and open to the public, RSVP to OTB@youngarts.org. Better Days, the independent boutique bar brand launched in August 2014 as the single vision of its creators, Challo Schott and owner Jeronimo Hirschfeld will extend its stay for another 30 days. Due to the overwhelming response from Miami, Better Days has been able to extend the pop up and will be celebrating with a week of exciting events starting Halloween Weekend. On Monday October 27, Manic Monday 80s night will feature $3 tall boys, followed by “Dead Waiter” night on Tuesday October 28 where Miami’s well deserving service industry members are celebrated and thanked with a 50% discount on all their libations. On Wednesday October 29, Better Days will supply guests with pumpkins and all materials needed for a fun night of pumpkin carving. Devils night will be held on Thursday October 30, followed by a Halloween Zombie Dance Party on Friday October 31. Rounding out the week will be their weekly $3-$5 happy hour from 5:00 to 8:00 p.m. on Monday through Friday and their 5-5-5 happy hour on Saturdays, where their featured craft cocktails are $5 for 5 hours beginning at 5:00 p.m.
One of the area’s most popular annual food and wine charity events, the March of Dimes Signature Chefs Auction presented by Goya, will return for its 17th year on Thursday, October 30. 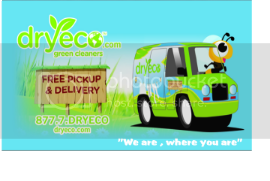 The event begins at 6:30 p.m. at the Hyatt Regency Miami. A who’s who of prominent area chefs will prepare their signature dishes created exclusively for the evening, paired with fine wines resulting in a memorable, mouth-watering extravaganza. Following the tasting, there will be a seated dessert and a spirited live auction featuring unique once-in-a-lifetime opportunities and our very special Fund the Mission. Tables of ten for the event are $3,000, and individual tickets for the event are $300 per person. 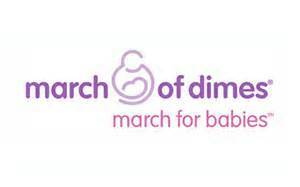 All proceeds from the event benefit the March of Dimes. 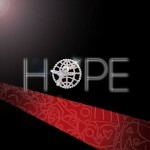 For more event information and to purchase tables or tickets, visit: marchofdimes.org/floridaevents. The Setai Miami Beach is spooking it up for this month’s After Sunset @The Setai on Thursday, October 30 from 8:00 to 11:00 p.m. Miami’s most imaginative bartender, Philip Khandehrish, is teaming up with Meat Market’s renowned mixologist Ezra Pattek. Both will be mixing and shakin’ with Ancho Reyes, an Ancho pepper flavored liquor to bring guests Halloween-themed cocktails. In addition, guests can enjoy complimentary hors d’oeuvres, specially priced cocktails, wines and champagnes. Sources say that Salvador Dalí is expected to return on October 29 to recreate his infamous “Dine de Têtes Surrealiste” party. 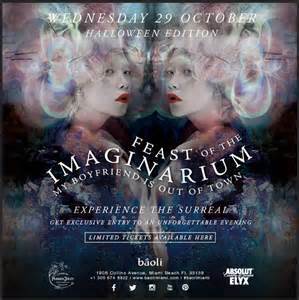 Bâoli Miami has decided to warp Wednesday night’s “My Boyfriend is Out of Town” event into an otherworldly “Feast of the Imaginarium.” For more information on this surreal sighting visit: http://www.baolimiami.com/imaginarium. Reservations are highly recommended.